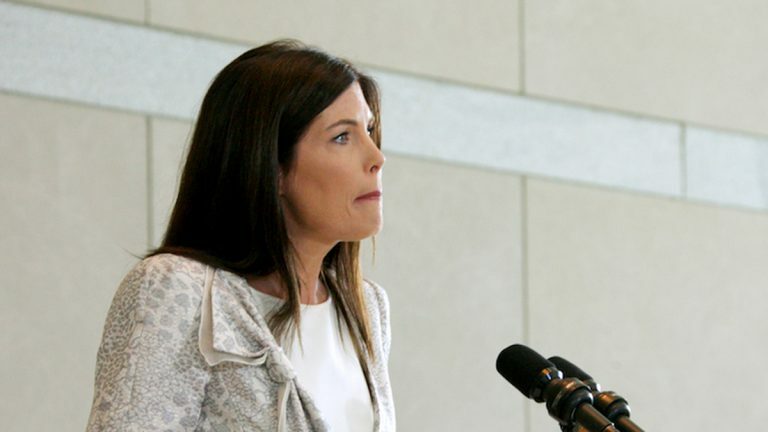 The charges recommended by a grand jury against Pennsylvania Attorney General Kathleen Kane include perjury, false swearing in, official oppression, and obstruction of the law. That information comes from court documents unsealed Wednesday at the request of Kane’s legal team. Kane and her lawyer say all of the recommended charges refer to Kane’s grand jury testimony, alleging that she lied when she said she never leaked documents to the press. But Kane’s lawyer, Lanny Davis, says they don’t actually recommend charging her with contempt — the charge that would come from actually leaking the documents. Special Prosecutor Thomas Carluccio is clutching at straws, Davis said. Speaking at a separate news conference Wednesday, Kane maintained her innocence. “That unsealing shows that there was nothing done wrong. That special prosecutor looking for leaks from my office and a grand jury didn’t even find them,” she said. Carluccio has alleged Kane leaked two documents to the media regarding a separate grand jury investigation into a Philadelphia civil rights leader. That investigation was led by former state prosecutor Frank Fina, who also started a separate sting investigation into politicians who allegedly took bribes. Kane halted that investigation, which began before she took office, saying it was tainted by racism. Kane has also challenged Carluccio’s appointment by a judge as special prosecutor, saying it violates separation of powers. The grand jury presentment has been sent to Montgomery County District Attorney Risa Vetri Ferman, who has not said whether she’ll charge Kane.